From top to bottom you are looking at 3250m down to bourg st maurice in the valley at 800m , although the chances to ski down here is very limited , most of your time will be whizzing around the carefully planned slopes between the areas all known by their altitudes (1600/1800/1950 and 2000) . Depending on where you work for the season , you will tend to hang out in just a couple of these resorts , but there is tons to do and the vibe here is pretty cool . There is now quite a big bar scene with most bars attracting some English staff and so if the bar is where your heart is then this could be for you , plus all the usual tour operators are here plus a host of chalet companies , work at the weekends can be found cleaning apartments as there are a lot of these ! 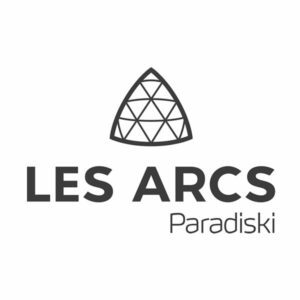 Les Arcs is famous for its High Speed ski run , you have gotta go and check it out ! In general Les Arcs is another big sprawling ski area , which is all linked together well as it was all designed just for the job , if you are only just getting to grips with your Skis/Board then Arc 1800 is the place to be , with LOTS of blue runs and quite forgiving terrain .For those that are looking for more of a challenge then head to Arc 2000 as there is a good mix of red and black runs over there . On powder days , hitting the trees into Peisey Nancroix is simply the nuts ! Of course you are linked to La Plagne via the Vanoise Cable car and this gives you the chance to ski the whole of the “Paradiski “ area . For more off piste challenges , nothing can beat dropping off the back of the aguille rouge down to the small village of villaroger , .be prepared for a fairly long trip back though with some queues so don’t do it if you have to get back to cook in the chalet. You can also drop into the “tarentaise tour” which is generally skied from tignes and end the day down in champangny le haut , again its going to be a long ski back via la plagne or a minibus pick up via moutiers . Red Bar is a great spot if you are looking for Live music ( mostly rock ) plus some pretty good DJ sets that get the whole place banging . Jungle café is a handy place to know , lots of seasonairres will be in here at some point of the day , all day food certainly helps and a laid back atmosphere is just what you want sometimes ! Mont Blanc Bar , up by the Grizzly lift , this is a great place to start après ski as the sun is starting to set .